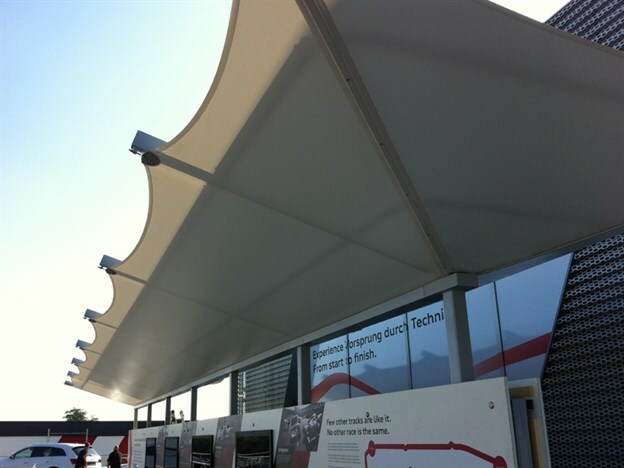 Working with Helm X, we created this simple queueing canopy for Audi's stand at the Goodwood Festival of Speed 2013. It is essentially a walkway canopy and was designed to allow water run off down a central channel section. 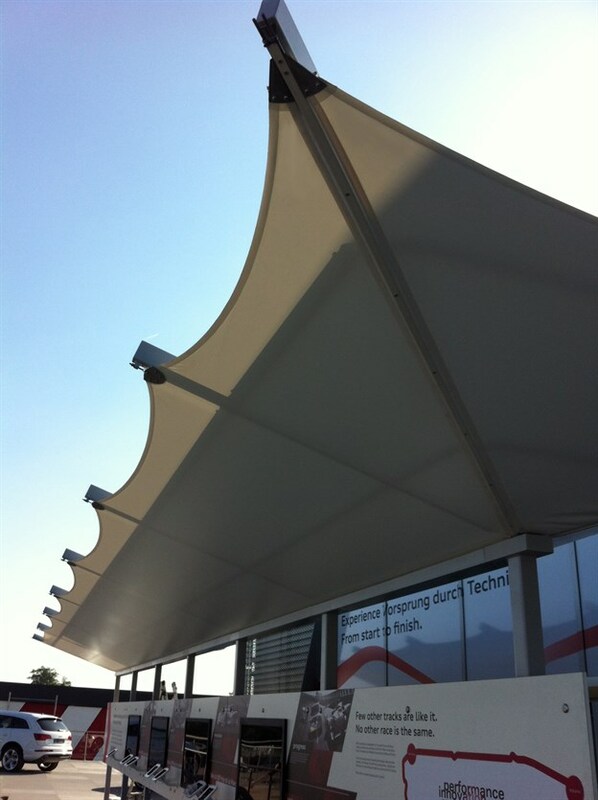 In reality the water run off wasn't required as the weather was scorching and the canopy provided sunshade instead! 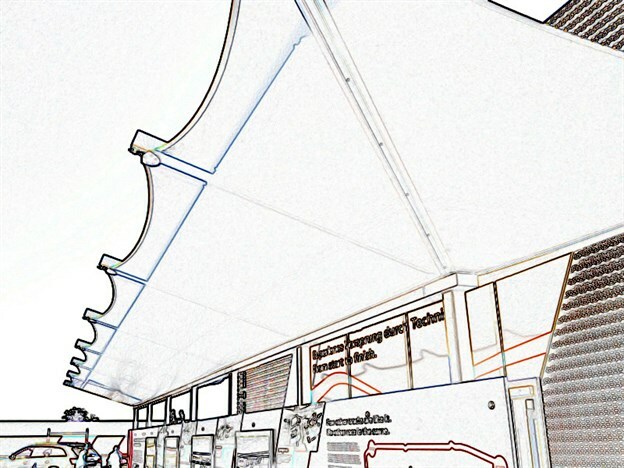 The Goodwood Fesitval of Speed 2013 took place at Goodwood House in Chichester at the end of July 2013. It is the "largest motoring garden party in the world - a unique summer weekend that brings together an impossibly heady mix of cars, stars and motorsports 'royalty'..."